Elevations. As a native flatlander born in Chicago, the prairie landscape in and around my hometown leaves little opportunity to enjoy a distant vista, unless you’re at the shore of Lake Michigan and want to scan the horizon to see the steel mills across the lake in Indiana. Not so in Seattle, which like most places out West — heck, like most places outside of the Midwest — is hilly. Note the image below; reminded me of anywhere in San Francisco. 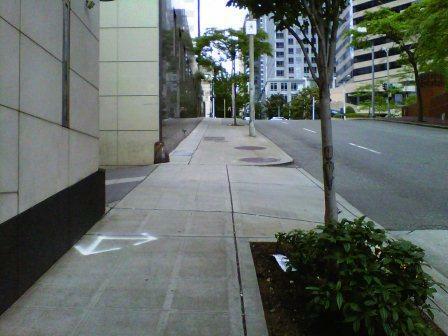 You can get a workout navigating the streets of Seattle. The Big Hill. Located between two mountain ranges, Seattle has more than just hills. It has some of the most spectacular mountains in North America — real mountains that are snow packed all the time. A friend asked in an email if I saw the famous Mt. Ranier during my stay. Not really, since it rained a lot earlier this week. But on our flight home Wednesday, I captured this image from seat 23F out the right side of an American Airlines 737. Way cool, and I bet way cold at the summit. The Museum of Flight. My business visit to Seattle wasn’t without some fun stuff. 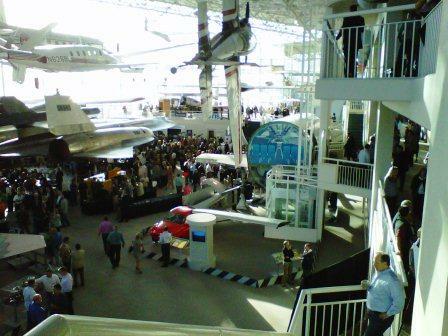 The Opening Party at the convention was held in a place that certainly was miles above your standard hotel or convention center ballroom: The Seattle Museum of Flight, located on the property where the Boeing Company was founded. Along with enjoying some great food and drink while strolling past all sorts of aircraft, I took in a few old black and white newsreels produced in the 1940s and 1950s. Glad to read a sign that stated these short films really were propaganda messages and not news. We’ve come a long way, baby, thankfully. In the next decade or so, we’ll need a place to retire. Not sure if I want to spend my “golden years” here in my beloved Chicago. Travel gives one an opportunity to experience new places for the moment, but an opportunity to perhaps gain insight into where you’ll live next. Will our next move be to Seattle? Not sure, but I’d welcome an opportunity to return. Will bring an umbrella next time, though. Have you given thought to where you’d like to retire? Share your thoughts. 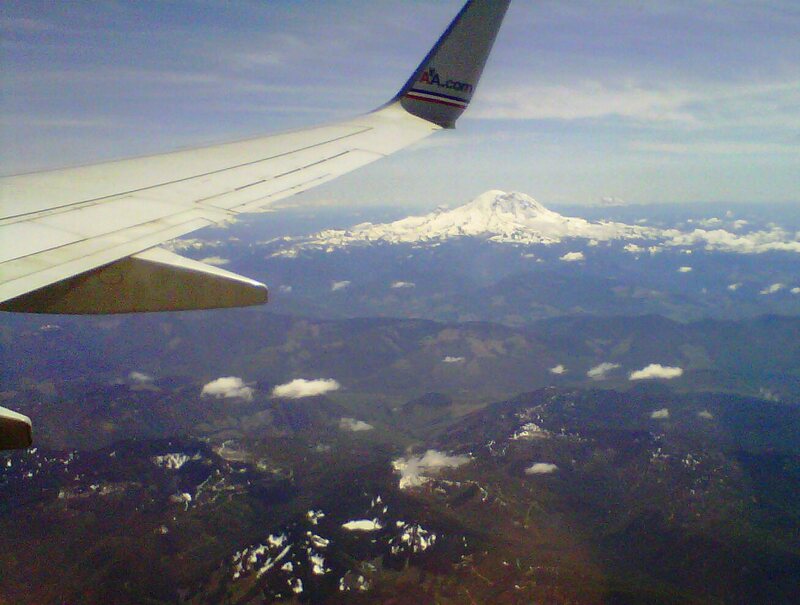 A view of Ranier from 32,000 feet. The Seattle Museum of Flight is a place that really soars.